White. It’s all the colors, and yet, none at all. But that is what makes white so great—it’s the perfect neutral that can be paired with anything! Maybe that is why usually fierce competitors Benjamin Moore, Glidden, Sherwin-Williams and Behr are all on the same wavelength (pardon the pun). 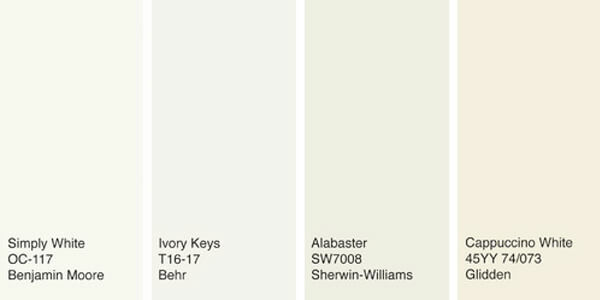 Benjamin Moore and Glidden recently announced shades of white as their 2016 “Color of the Year”, while Sherwin-Williams and Behr each feature off-white hues in their 2016 trend forecasts. Look no further than the device you’re reading this on. In today’s high-tech, fast-paced world of constant connectivity and endless chatter, your home—now more than ever—needs to serve as a sanctuary to pacify our hectic lifestyles. With a white, tranquil setting as the goal, sheer curtains should be on every designer’s go-to list. Just imagine—sheer white curtains gently wisping in a cool fall breeze, as the sun’s warm rays kiss your skin and fill the room with a diffused, calming light. With so many more options than your standard voile and batiste, sheer draperies don’t have to plain and simple. Maybe your walls and furniture follow the calming neutral trend, while your window treatments add a pop of color. On the other hand, you can stick to an all neutral palette, and add visual interest with patterned or textured sheers. No matter what role your custom window treatments take on, flair21 has the high-quality fabrics and superior craftsmanship to take your design to the next level. Call us at 800.845.0918 or click the “Become a Dealer” link above to learn more.